WASHINGTON (AP) — Right-hander Jeremy Hellickson and the Washington Nationals have agreed in principle to a $1.3 million, one-year contract, a person familiar with the negotiations told The Associated Press. The person spoke to the AP on condition of anonymity Wednesday because the deal was subject to a successful physical exam. He was 5-3 with a 3.45 ERA in 19 starts for Washington last season. 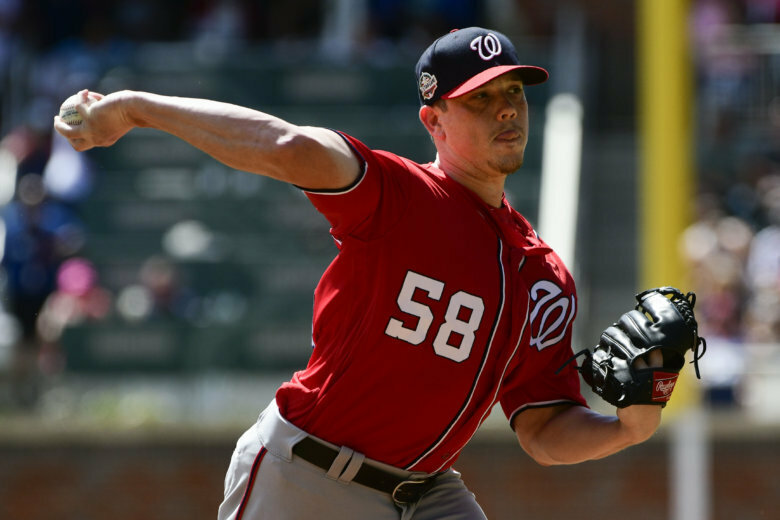 The Nationals are Hellickson’s fifth club in a big league career that began in 2010 with the Tampa Bay Rays. He is 74-72 with a 4.07 ERA in the majors. Hellickson is expected to be the front-runner to claim the No. 5 spot in Washington’s starting rotation, following Max Scherzer, Stephen Strasburg, Patrick Corbin and Anibal Sanchez. Hellickson can earn $200,000 each for starts 3, 5, 7, 9, 11, 12, 14, 16, 18, 21 and 23, and $300,000 apiece for 25-30. The agreement with Hellickson comes one week before the Nationals’ pitchers and catchers are due to report to spring training in Florida.